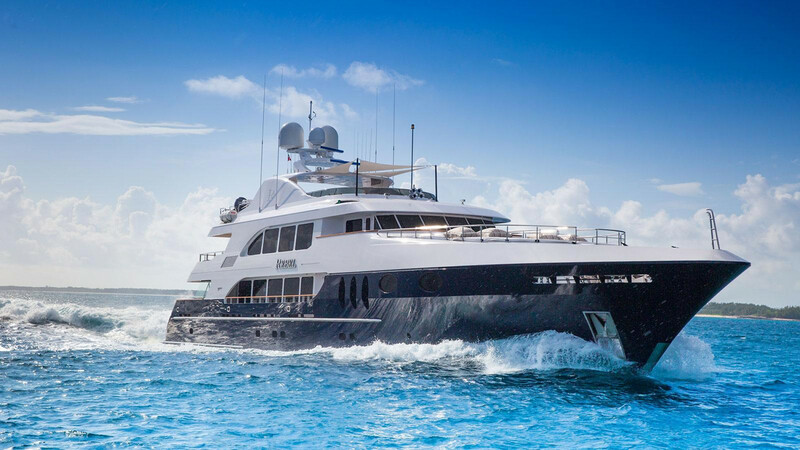 Sold in December 2014, the 47.85 metre motor yacht Rebel is back on the market. Previously known as Mustang Sally, she was built in aluminium by US yard Trinity Yachts to ABS class and delivered in 2005. MCA compliant, the interior of Rebel was designed by Patrick Knowles and accommodates 10 guests in five cabins, all with television sets and en suite bathrooms. The skylounge is another area devoted to relaxing and socializing equipped with comfortable large sofas. Deck spaces are ample and provide multiple areas for outdoor entertaining and al fresco dining. On display at the forthcoming Fort Lauderdale Boat Show, Rebel is asking $18,250,000. Do not hesitate to contact Benjamin, our sales broker on site along with the Cluster Monaco to book a viewing.